Terrariums create the worst possible environment for succulents to grow and thrive. If your goal is to have happy and healthy plants, you need to keep them in an appropriate container. This post is going to draw some ire since it conflicts with contemporary interior design principles. And by “contemporary interior design principles”, I mean Pinterest-flavored minimalism. Don’t get me wrong – they look great. There’s nothing cooler than having a little ecosystem in your living room. A slice of the austere beauty of the desert is certainly desirable, but succulent terraria (the plural of terrarium) aren’t a sustainable solution. 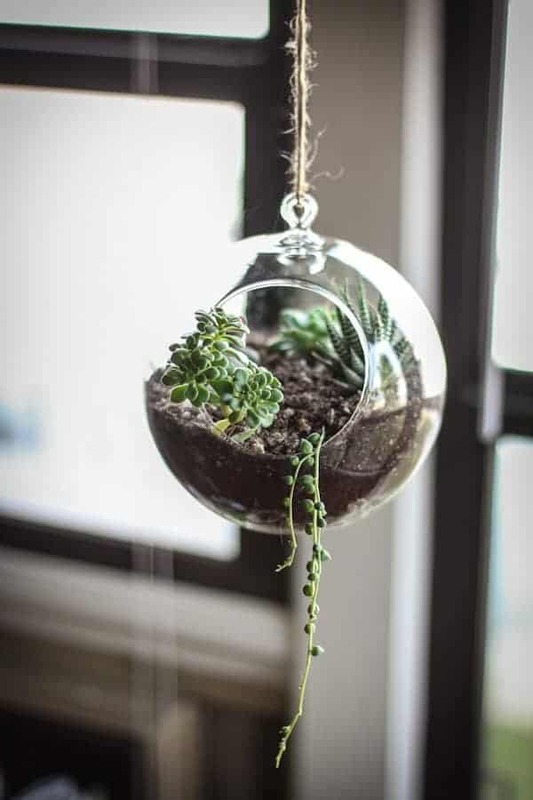 Succulents in a terrarium will eventually die unless they’re given the most meticulous care – even then, they’ll be hanging on by a thread. These problems are present in both kinds of terraria – both completely sealed and partially open ones. Being in a sealed terrarium exacerbates most of these issues. Only some of these problems are relevant to “dish gardens”. 1. There’s no drainage in a terrarium. 3. There’s no airflow in a terrarium. 4. Terraria are too small for succulent growth. 5. Mixed-composition containers are iffy. This is the obvious objection to keeping succulents in a terrarium. A terrarium is defined as a “sealed, transparent container” so, by definition, there won’t be drainage. The kicker is that everybody already knows succulents need good drainage. Duh! That’s why you put all those layers of colorful sand or gravel at the bottom of the container! Noooooooo. No no no. This is one of the most pervasive and damaging garden myths of all time. Gravel doesn’t create drainage. Nothing can create drainage other than an actual drain. Just think about it for a second – if all the water drains into the gravel layer, where does it go? Nowhere. It stays there until that “drainage layer” fills up and soaks the soil above it. Oh, it evaporates? As in, the water turns into water vapor which rises… oh yeah, right back into the soil above it so it can condense into liquid again. Nice. There’s no substitute for drainage, unfortunately. I hear you say “Well my X survives without drainage!” I’m happy for you. That’s a testament to the hardiness of succulents, not your potting decisions. It would be happier and healthier in a pot with drainage 100% of the time. Anyway, it’s possible that some terrariums have a removable bottom like a cork or plug or something. If you find one – go for it. 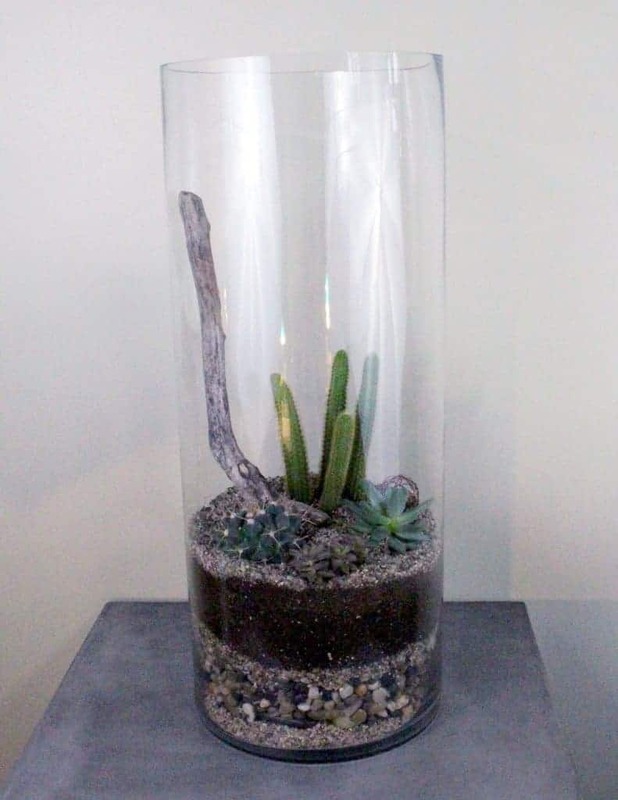 Fixing just this problem will drastically increase the viability of your succulent terrarium. On charcoal: many guides recommend putting a layer of activated charcoal at the bottom to promote drainage. The charcoal is useful, even if they’re attributing its usefulness to the wrong place. While it won’t create drainage, it does help repress potentially harmful fungi and bacteria. The thing about sealed containers is that nothing gets in or out of them. Succulents love their water, but they really want it to leave when they’ve had their fill. Wet soil is obviously bad, but so is wet air. Terraria are inherently humid because of the greenhouse effect. That’s intentional by the way – they were invented for the purpose of transporting jungle plants which require a humid environment. To be fair, water in the air isn’t directly harmful to succulents. It’s indirectly bad because it encourages mold, mildew, and other fungi to grow. 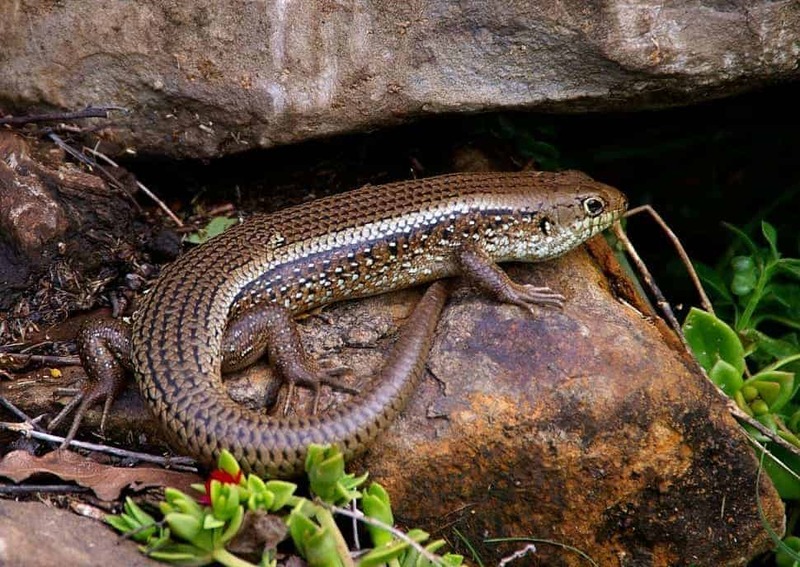 Some of those aren’t harmful to succulents, but others prey on the roots of plants. Furthermore, humidity slows the rate of evaporation. The air is already full of water, so it takes more energy for water to move into that area of high concentration. This means that soil will stay wet longer, putting your plants in danger of root rot. Having a partially open terrarium alleviates this somewhat, but humidity is definitely still present. Airflow is definitely related to humidity issues, but it warrants its own bullet because of another, hidden, problem. It can superheat the air. Have you ever gotten into your car on a hot summer day and just wilted? Of course you have. Have you ever noticed that large greenhouses almost always have clouded glass instead of being totally transparent? Yup. The greenhouse effect is real. There’s practically no limit on how real it can get either. The air inside will continue to heat up and it is tempered only by how fast it can leach heat into the surroundings. In a totally sealed glass terrarium, that’s not very fast at all. Yup, you can burn your succulents to death by keeping them in an environment that is too hot or too arid. Yet, succulents require that full sunlight. Ironic, I know. The actual reason for death is usually that it causes the roots to dry out and die. The more partially-open your terrarium is, the less of a problem it is. This is true both above ground and below ground. As a general rule, succulents can get pretty big. Many genera (plural of genus) are shrubby or even tree-sized at full growth. Granted, it takes a long time to get there – often decades. However, small succulents tend to grow quickly! Who hasn’t seen Kalanchoe infest a pot or a Jade Plant double in size in a few weeks? A terrarium will quickly become crowded and demand a lot of maintenance in the form of pruning. You’re right – ultimately, pruning and crowding isn’t a huge deal for most succulents. What IS important is the crowding of their roots. Most terraria aren’t very big at all. The amount that is dedicated to the soil is even smaller. This makes it particularly rough for succulents and cacti which are known to grow extensive root systems. After all, they’re trying to gather every drop of water they can. Succulent roots tend deep and wide – both are adaptations to maximize the amount of water they get. A terrarium may be deep or wide, but rarely both (and often neither). Stunted growth isn’t the worst thing, but the problem compounds when you have more plants. I’ll be honest, I’m guilty of this one too. Succulent arrangements are fun and easy to make and they look great. The issue is that there can be a fair bit of competition between succulents. Like all problems seem to be, the issues are exaggerated in a terrarium. Because of the intrinsic crowding and the limited resources, competition gets fierce. It probably won’t start out this way, but a common problem for all terraria (even non-succulent ones) is light competition. Inevitably, the fastest growing plant will grow above every other plant and plaster its leaves to the walls of the terrarium in an effort to hog all of the light. Succulents, being gentle, sun-loving souls, won’t put up too much of a fight. After all, they need so much light in the first place that even missing a little bit severely handicaps them. The succulents will slowly succumb. Succu-cumb, if you will. If that sounds bad, know that the competition is even more cutthroat under the surface. While it’s true that plants of the same parentage, same species, or sometimes closely related species will avoid root competition, that is emphatically not true for most plants. In fact, it’s kinda crazy how serious things get down in the root zone. That’s where most plant fighting takes place. Some plants even produce chemicals that intentionally inhibit the growth of other plants (called allelopathic compounds, and the Mother of Thousands is one such offender). All that said, yes, it is possible to have a succulent terrarium with living succulents. It’s just not ideal – for you or the plants. Learn how to make a fairy garden. You get the same “tiny world” vibe as a terrarium, but you can do it anywhere. Broken pots are a favorite. 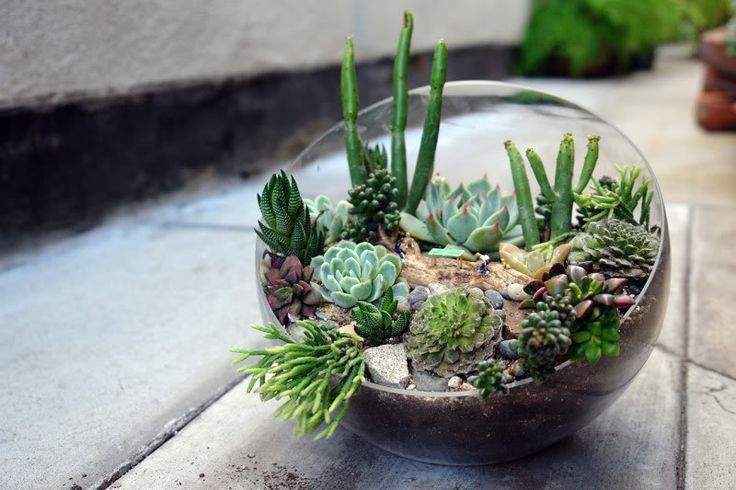 Make a terrarium with tropical plants. Or make a jarrarium – an aquatic terrarium. They can even be self-sustaining if you set it up well! If you’ve gotta make a terrarium, or put a succulent in a container without drainage, do yourself and follow this guide. It gives you some techniques to mitigate damage and help increase the longevity of your succulents.